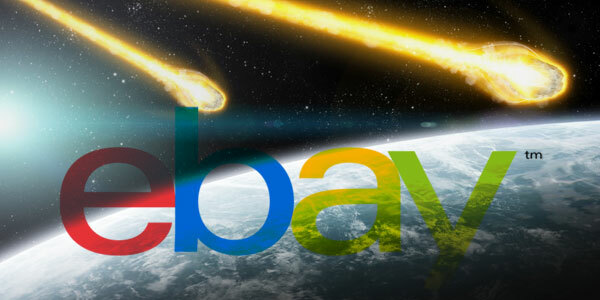 Is eBay's DOOMSDAY Coming On February 20th? After a long time waiting, eBay’s new seller standards are coming into effect on 20th February (so just 3 short weeks away) and I can’t remember seeing the eBay community so on edge in quite some time! And actually this might come as a surprise to you when first looking at the new changes to be implemented, as some of the new seller standards are, on the face of it, a lot more seller friendly. Sounds good, right!? After all, one of the biggest complaints about the defect rate has always been how it penalises you even if you resolve any problems that occur (something will always go wrong, that’s just the nature of business) and that’s now no longer the case – you won’t get a defect if you do everything right and fix the problem. But it’s not all good news of course (this is eBay we’re talking about, after all) as the maximum allowed defect rate has also been adjusted to take into account the more lenient criteria. So the outcome of it all is that while the new defect rate is a lot fairer, the maximum amount of defects you can have as a normal seller is two and a half times less than before. And for top-rated sellers it’s even worse as the max defect rate will be a quarter of what it was before! But all things considered, I would still opt for the new defect rate, if given the choice. I much prefer a more subjective seller performance standard, rather than being completely reliant on the fairness of buyers, so I’m happy with the upcoming changes. BUT, that’s not all. In fact, the defect rate is not even what people are worried about… all the fear is to do with eBay’s new on-time delivery metric. We all know just how important delivery times are for online buyers, and with Amazon now offering FREE 2 hour delivery to some of its Prime customers and even experimenting with drone delivery (no, that’s not a joke! ), eBay have some work to do in order to keep up! So understandably, one of the main focuses in the upcoming changes to the seller standard is all to do with shipping and specifically the on-time delivery metric, which is being introduced. To put it simply, this is a new seller performance measurement, solely based on whether an order was sent “on-time”. Once again I am very pleased with the idea in theory, as eBay specifically state that they’re measuring delivery performance based on what we control – posting items on time and it ISN’T dependant on the actual delivery time. Amazing right – all we have to do is dispatch orders in the promised timeframe and all is good!? Well no, I’m afraid not… as this only applies to items sent via a tracked delivery method. Point no.1 means that if you claim 24 hour dispatch and an estimated two day delivery time (so a total of three days from the point of order) then as long as you post the item within 24 hours, it won’t be considered a late delivery, even if your courier takes three days to deliver, and not two. Point no.2 means that if you make the same claims in your listing as above, but only post the item after two days, if your courier delivers in one day (meaning it has taken 3 altogether) then it won’t count as a late delivery. Of course both of these points rely on you using a tracked delivery method, which won’t always be the case, and that’s where point no.3 comes into play. Simply put, if you post using a non-tracked method, then as long as your buyer confirms the item was delivered within the stated timeframe, then that will still count as an on-time delivery. Tracking shows that the item was posted after your estimated dispatch time AND tracking shows the item arrived after the estimated delivery date AND your buyer doesn’t confirm that the item arrived on time. BUT, as some of you may have noticed, all the above scenarios don’t account for a delivery sent via a non-tracked method where the buyer doesn’t give any information on the time of arrival. Will eBay assume that it arrived on time? Or is the burden of proof on you and will that count as a late delivery? And I have to say that this specific point worries me a lot! It’s common sense that people are more likely to say when their item arrives late than when it arrives on time, as expected. But that means it’s going to be very hard to build up on-time deliveries if you’re not using a tracked method as you’re, once again, dependant on the buyer. And when deliveries are marked as late, it’s going to have a big effect on your overall metric! At first glance the requirements seem reasonable to me, as if 5% of my items are being posted out late, then something is wrong, never mind 10%! But as we’ve already gone over above, there is a big problem for orders that are sent without tracking. Let’s pretend for a second that all deliveries are recorded fairly by buyers, so if it’s delivered on time, that will count as an on time delivery, and if it’s delivered late, that will count as a late delivery. Now let’s take a closer look at the numbers if you’re posting all orders via RM 1st Class, which has an estimated delivery time of 1 working day on eBay. Now Royal Mail themselves set a minimum target of 93% of First Class mail arriving within 1 working day, which is already well over the 4% maximum for Top-rated sellers! And remember, this is their target and assuming all deliveries are fairly recorded by buyers… taking those two factors into account and I would expect something closer to 10% or so of “late” deliveries. So my conclusion is that it’s going to be practically impossible to maintain top-rated seller status if you’re only posting using Royal Mail non-tracked delivery. What about simply sending everything tracked? Well I think you all know that that’s simply impossible for sellers specialising in low value items. Just for the sake of it, let’s quickly run through the figures I used in a recent blog post on this topic, which you can find here: How to Start an eBay Business ON A BUDGET! A very respectable ROI! But what difference will you see if posting via a tracked method instead? Yep, as expected, it’s gone from a healthy profit to a hefty loss! The margins simply aren’t there to be able to include tracked shipping for low value items like this. So was the slightly melodramatic title for this blog post true in the end – is it doomsday for a large amount of eBay sellers? After all, it looks as though people will struggle to meet the standard seller requirements, never mind top-rated! Well, not quite. Firstly, eBay aren’t going to automatically close down accounts that fall above the 9% max late delivery metric – even they’re not that crazy! Instead they “may impose dispatch limitations on your account.” What this basically means is that they’re not going to allow sellers to claim certain dispatch times if their deliveries are arriving after the estimated date. Advertise a two day dispatch time. Yep, my suggestion is as simple as that! Think about it for a second. If I select 1 day dispatch and shipping via Royal Mail 1st Class, then eBay are going to advertise a 2 day delivery time to my buyers and when it comes time to ask them whether or not the item arrived on time, that’s the date they’re going to use. But just by adding an extra day to my dispatch time, I’ll avoid the vast majority of late deliveries! Of course this is only on paper, and you should still post everything out as soon as possible (otherwise the whole point is lost). 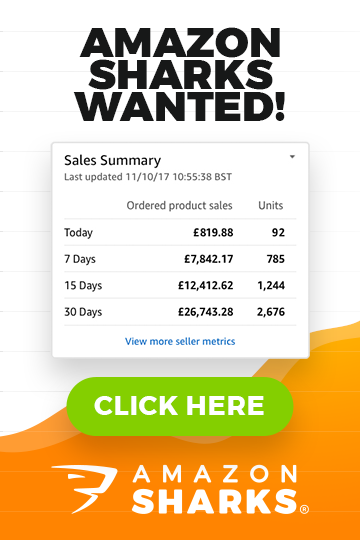 Now before you start saying that this is a prime selling feature for your buyers and you’re going to lose sales etc., what do you think is going to have more of an affect – 2 day dispatch or not being a top-rated seller? So while this isn’t an ideal solution, it’s the best I can offer for now for Un-TRACKED deliveries. There are still a number of questions that will only be properly answered when these new seller standards are live, such as how missed deliveries are handled, unsupported couriers, delayed tracking info and much more. Sellers who can afford to sell everything TRACKED, will actually gain A LOT from these new changes! As with tracked packages, all you have to do is dispatch order on time and add tracking number to eBay. That’s it! And there’s no way to get a defect for that order (if you sort out eBay cases on your own). And in reality this really means that if you currently deal with very cheap items and can’t afford tracked delivery, you should seriously start thinking of ways to start increase your average order size to be able to send goods via tracked means. 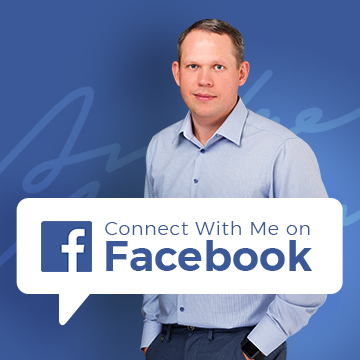 I’ll be monitoring everything very closely when these changes come into place, both in my own businesses, on forums, and of course from the mountain of feedback I’m sure to receive from all of you. It’s going to be an interesting month, that’s for sure! I’ve found your blog invaluable, thank you for all the hard work you put in. I have a question if I may. Regarding your solution for untracked deliveries. I have started to do just that since all my items are less than £2 delivered I simply can’t afford to send them tracked. I send by 2nd class, I have an online business account with Royal Mail and drop my post at the post office. I used to state a same day dispatch and was able to have the fast and free badge. Since switching to 1 day dispatch I have since lost this. Sorry I’m rambling, my question is am I negating the purpose of adding an extra day of dispatch by marking items as dispatches on the day i dispatch (same working day). Currently that’s what I do, I process the orders and then immediately mark them as dispatched so that I have an accurate log of where I am at with the orders. Does ebay calculate the estimated arrival from the day I mark as shipped? Or would it be better to ship them but mark them as dispatched a day later? Or even same day but in the evening so ebay starts calculating from the next working day? I don’t know if any of that makes sense. If anyone other than Andrew would like to add their opinion that would be gratefully received also. Yes, you should mark items as dispatched on FOLLOWING business day when transaction takes place. So you want to ship out same day but mark as shipped on next day. I have been doing it wrong for almost a month. Eek. I do my very best to provide a fast turnaround, & as a one man band, I can’t do any more. Most of my items are sent Royal mail standard un-tracked, like most of us I imagine. I fully understand eBay’s reasoning behind the new metric, but it’s unfair in so many ways. Some late delivered items might be down to the delivery agent: eBay’s solution is for us to simply upload tracking for each item, but we all know that tracking everything is just not an option for the vast majority of sellers trying to stay competitive. The biggest problem however is the simple fact that a large proportion of buyers just don’t leave feedback. A quick calculation shows that my rate is about 50%. It’s been already mentioned that unsatisfied buyers are more likely to register their unhappiness than happy ones are likely to express theirs, thus skewing the figures against the seller. The most annoying, and frankly obvious thing, is that the big silent majority who haven’t left feedback are, on the balance of probability, perfectly happy, & oblivious of the harm they’re doing to a seller by not saying that their item arrived on time. These “silent positives” are not factored into the metric. If they were, the problem would disappear instantly. eBay reps have said that a note in each parcel urging buyers to leave feedback would improve the rate, but it’s just more work for the seller, & I suspect, would only be of limited use. My solution is that after 90 days, eBay assume that anyone who has not left feedback or a “delivered on time” ratting is happy, (which they almost certainly are), & those numbers are factored in. This would solve the problem, fairly, at a stroke. I can think of no earthly reason why they wouldn’t implement this, & save a lot of sellers’ “top rated” status. However….my fear is that eBay’s chief motivation for all of this is, to find a way to take away the remaining 10% discount we get off our fees, & setting a bar that’s too high for many sellers to jump over. Perhaps I’m being cynical, so, come on eBay: prove to us that you’re more interested in supporting hard working sellers, just trying to do their best, than filling your already over-stuffed bank accounts at our expense. I’ve been watching closely on this one in my account. I’m now at 3.5%, and suspect I’ll go past the 4% mark soon….all because Ebay expected arrival estimates are way off, within 2-3 days for 2nd class. Everything I send is 2nd class untracked. I think I might have to increase my despatch time to 1 or even 2 days to cover the gap, which is frustrating as I do get everything out every day. So these new seller standards have just lost me my Top Rated Seller status as they said that just under 9% of my transactions were late. It was 9 out of 101 they counted. Actually I’ve had 1000 sales so in reality only 1% of my transactions were late. It’s incredibly frustrating as it took me quite a while to gain my top rated status and now they’ve taken it away. Hi Andrew and thank you for a very balanced and educated forum. I would like to point out a few things that will affect this late delivery rate. Firstly, I have spoke to the top brass in both ebay and Royal mail. Derek, one of the reps from ebay that was responsible for this creation states that “Royal mail is possibly the best service in operation” and we agree. But at a 93% delivery rate it clearly does not cut the mustard on delivery times, after rejecting Europes proposals. Secondly, I managed after some serious phoning to speak to a Mr James Cregan, who is responsible for all the ebay contracts. He has stated that “our computers are not yet ready to cope with the 200k demands that the ebay computer is demanding for acceptance scans and won’t be ready until 2018 at the cost of 1.4 billion pounds”. The ebay computer it ‘throttling’ the PO system and after glitching, requests the data the next day adding 1 extra day to the apparent dispatch time. Thus, the late dispatch times; Even if the tracking no is put in. These wrong figures are needed to be changed manually by the ebay rep’s, (no prizes for guessing what happens in that scenario!). This system has obviously not been means tested or in other words, fit for purpose. And remember that this is the best service. It is like trying to insert a peice of toast into a super computer. Furthermore, ebay has seemingly changed the law of temporal physics and advertises 1st class recorded as a 1 day delivery, instead of a 1-2 working day, which it used to be. So I spoke to RM again, a few RM shareholders and postmen. They have all stated that 1st class recorded postage is not a 1 day service. So… What to do. Well, adding an upgraded special delivery foc service will acheive the designated delivery forecast, but….. ebay take 10% of your postage costs. Or senario no 2, add it onto your shop prices, which ebay take 10% of including the extra amount on postage. Or my favorite, scenario no 3, expand your dispatch times to 3 days to allow for their computers over zelous schedule. Which now results in a auto generated message threatening your top rated status, I have one. It’s very nice. I also have had the top status emblem removed from our listings, (with 100% top rated status that after 3000 sales and 4 years, I have never lost). Until now. Im an old fashioned bloke and know that if someone feels the need to blackmail or threaten you over something, you know its not right. So then. The this won’t take effect until 20th Febuary is clearly not the truth, as it is effecting sellers now. The untested system, is failing its clients regardless of the next statement, “if you post the items on time, putting in a valid tracking number and the client does not complain, you have nothing to wory about” is pure fantasy. We have 3 hits on our account, all proven to be sent and delivered on time, (15 have been removed). The 3 were supposed to be removed after many promises and were not….. And now the computer says ‘no’ to their removal as it is over 120 days old. Amusing as they will now give a false detrimental representation of our company for a year! And I’m paying them for this. I know that we look to ebay for clients, but, if this means that we all face losing our accounts because of their system or our top seller status, which we have had ingrained is ‘so very important’, I would like to know what the point actually is. Why over complicate a system or fix something that was not broken? I applaud you on your £1.99 figure chart above, I had the same disgussion with a very upset ebay rep who after getting shot down over 9 major points, resorted to state ‘well, were here to make money’ which is possibly the most honest thing I’ve heard them say, although I’d like to point out that so are we. Good luck and may this RMS Titanic of a creation work, although its a mathmatical certainty it won’t. RMS stand for Royal mail ship by the way and apparently America did not receive it’s post as well…. Good job ebay was not around in 1912, or we would all be marked down! Kindest Regards and Wishes to all you girld and guys. I am also experiencing this, I use Royal Mail DMO and I dispatch same day or next working day but after uploading the tracking number Ebay won’t accept it until it is physical scan by Royal Mail which might not fall within our stated dispatch time frame. Most of my late delivery defect is from courier and has move me from top rated to above standard. I think the best option is not to upload tracking info on eBay as most buyers don’t leave feedback and eBay will not get to know if there is late delivery if only the buyer mark it as late. I’ve just been told by eBay customer service that Royal Mail Signed For does not count as a tracked service, so won’t be taken into consideration when dealing with the new on-time delivery metric. That can’t be true – RM signed for IS a tracked service, with a tracking number, online status etc. They or you have mixed up something there. Thanks for this useful post . On coming next evaluated date ,I will lose my TRS status . I m posting around 30 to 40 item per day using Royal Mail 1st class Delivery(OBA) with Same-day Dispatch. Due to the cheap and small value item. I couldn’t offer Track Postage and can’t fill track number for each transaction. So, All i can do is Just waiting to Customer feedback Click yes to item arrive on time . I think that Royal Mail 1st class cannot deliver on time that’s why i receive a lot of late feedback. However,New Seller Standard cannot work for Large Quantity with Small Margin Profit seller. You should check this directly with eBay Panos. I’ve only ‘quickly’ read the above comments and your responses (so apologies if my points below have already been covered). Do we actually believe Royal Mail’s ‘claimed’ % of 1st Class Deliveries arriving next day? If Royal Mail are incorrect (and their % of 1st Class Deliveries is not as good as they think / state) then this could be an even bigger issue for items sent without Tracking. Does ‘Proof of Posting’ offer any help to Sellers using Royal Mail? Vaguely seem to recall that it’s free but don’t know whether it’s feasible / too time consuming etc?. Is there a Post on your Site that compares the Pro’s and Cons of selling Higher Ticket Items with selling Lower value Items? If not, please would you consider one? Given the Tracking v Non Tracking Dilemma Discussion in this ‘thread’, such a Post would be quite topical as – if selling Higher Value Items – there would be no reason not to adopt Tracking (and the problem would, mostly, go away). I’m also much more interested in selling items offering a profit of at least £20 Per Sale, so would love to see such a Post for that reason too. Andrew. What about keeping the same day or 1 day dispatch but changing from Royal Mail 2nd class to the other courier 3-5 day delivery? Continuing to send your items RM 2nd class. You keep youll premium service and still keep your posting costs down as well as giving yourself enough time for the item to arrive. Is it a bad idea to select other courier when your actually using Royal Mail? Would that even get noticed at all? 2 negatives I can see is that one – that is quite long expected delivery time, which could hurt your conversion rate. Secondly – people won’t be able to track the package if you select Other Courier. Andrew if you offer 2 day dispatch you will lose your EBay premium service which means you lose the discount on that listing and the best match boost. You must offer same day or 1 day dispatch to keep this. The thing here is that it would be better to loose that but keep TRS by using this tactic. If you offer 2 day dispatch you will lose premium service badge and discount? As far as i remember you need to offer 1 day or same day to qualify ? As for tracked service Ebay actually penalizing sellers for delivery times. Im one of them, we sent everything tracked as its so cheap to send it that way from Poland. So we have valid acceptance scans from Post office, but Ebay refuse to remove “Late delivery rate” it. “have looked into the details of the defect you received and can see that you have sent your items in good faith but for us to remove these defects, we would need to confirm the delivery of the item within the expected delivery date shown in the listing. This can be confirm through tracking information or a direct confirmation from your buyers. Moving forward to the information you’ve provided, I have checked all of it in relation to their corresponding items and can see that it was delivered late, based on the Expected Delivery Date. Ive also called Ebay to resolve this, they gave me email to send rapports with tracking. Around 70% of our “defect” tracked post actually arrived on time few get lost and rest arrived 1-2 day late. yes, that’s true – Premium Service badge would not apply to these listings. (it’s per listing based award, not account wise). Adrian, I agree 100% on everything you say – same for Karl – it is a total mess right now, especially when eBay’s system is glitching, customer support is not even aware/trained on all these issues etc. etc. Yes, this could be another twist/approach to use. This is not correct, eBay cross reference the tracking numbers with Royal Mail and do not automatically assume you have dispatched the parcel . If this was the case we would be totally fine. Again I am happy to prove this point by sending you a test parcel . Hi Andrew Thanks for your Doomsday blogpost, great info on ebay’s new metrics , a couple of extra things to cover . Firstly eBay has already changes the 9% down to 7% if you check your dashboard its clearly showing 7% 🙁 I think we can all see where this is going. Secondly , if posting via Royal Mails PPI (Packet Post service) which a large number of sellers are there is no way to prove dispatch date, Royal Mails system uses a average weight and parcel count, it does not take direct address into the logging system. We used to use a automatic program that sends ebay the Royal Mail tracking numbers for each parcel, we send about 80 to 100 a day all first class recorded small parcel. After a few weeks we noticed about 20% was marked as late vie the auto courier system, then checking into this we found that any parcel that gets carded or missed delivered du to customer not being home gets marked as late. Ebay will not remove these du to the fact we or royal Mail can not prove the dispatch date as its grouped together into one large consignment. Open to any other idea’s for dispatch? I would love to think that Royal Mail’s new DMO service which has barcoded and full network tracking would somehow feed into Ebay, but I know that’s probably wishful thinking. I’m still on the OBA system, so no experience of DMO yet…will be moving over shortly though. Thanks for your insights & correction! Not sure I understand your reasoning behind NOT adding tracking numbers? As if you add tracking number within your dispatch time frame, you can’t get a late delivery, no matter when it’s actually delivered. The system is full of glitches right now though and many transactions are marked wrongly as late deliveries, but you can sort them out by calling eBay. I really hope they fix these glitches over next 3 weeks as otherwise how can they even roll out this update in full. Hi Andrew, that’s just the point, eBay will not remove them 🙁 80% are fine, as eBay can see that it’s been signed for next-day . the problem is with the Royal Mail recorded 24 hour Parcels that the customer can not sign for as either they are out or other issues. We should be totally covered as we dispatched in time, but eBay’s system (And Royal Mail’s) has no way to see the dispatch date. What we get when we use our Linnworks or Metapack system is the Royal Mail Tracking number, but this only updates on there system when the parcel has been signed for. We have tried to send eBay the Royal Mail manifest, and the Linnworks or Metapack screenshots to prove dispatch and collection but eBay will not use these. So are are stuck with not being able to prove dispatch on all parcels using Packet Post (OBA) . So that’s why we stopped uploading the Royal Mail Tracking numbers. Now the customer can still leave a late dispatch, but its very unlikely as most times Royal Mail will have left a missed delivery card so the customer will kind of know that its not pour fault. We have only had 2 customers stating “Buyer says late delivery” out of about 900 parcels, but the “Courier says late delivery” is 80+ all du to the automatic system . Since we stopped adding the tracking numbers all “Courier says late delivery” problems has stopped. We still upload all the tracking details for Interlink and Parcel Force and these are all working fine. Happy to send samples for you to see for your self how this works Andrew, would make for a great Post, I’ll do pictures and Video for you my side. Its very frustrating and I can not see any fix as its more a Royal Mail problem than ebay.